We’ve made some awesome updates to our ReSource CVR (Contents Valuation Report)! One of the biggest changes is the ability to easily apply and track limits. Here are some instructions on how to utilize the limits feature. This modification is an incredible addition, so if you have any questions please don’t hesitate to contact us! We have tried to keep everything simple and as automated as possible for your convenience. Every update made to the spreadsheet is a tool to use at your discretion and the limits will not be filled in or applied by ReSource. Please take a moment to review the updated processor, as always, your feedback is greatly appreciated! Applying limits is now accomplished in just a few short steps! On the ACV tab, select the Special Limit category you would like the item applied to. On the Limits tab, enter the category limit and per item limit (if applicable). 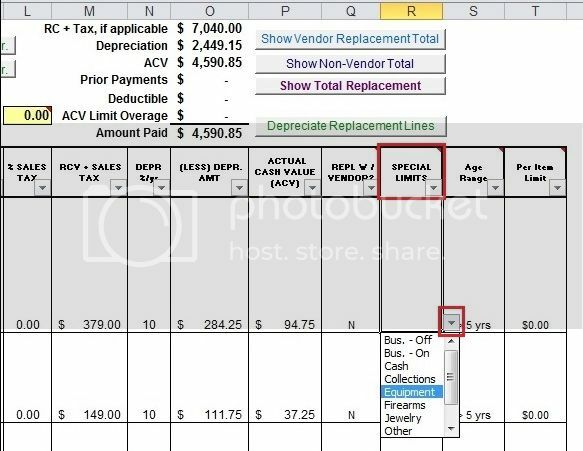 You will see an immediate summary of the total ACV dollars per Special Limit category and any resulting overages. On the ACV tab, the Summary at the top of the page will automatically subtract ACV Limit Overages. As above: On the ACV tab, select the Special Limit category you would like the item applied to. On the Limits tab, enter the category limit and per item limit (if applicable). 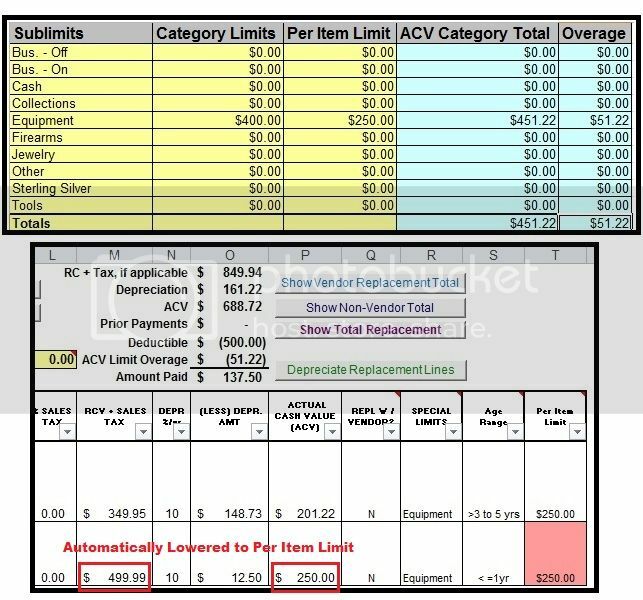 On the ACV tab, the per item limit will appear in column T. If the ACV is over the per item limit, the total will lower to the limit amount. 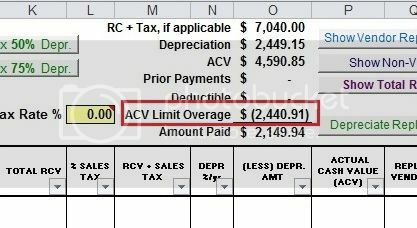 The limit amount in column T will be highlighted in red to notify you that the ACV amount was changed for that line.